From Antigonish to Yellowknife, Canadians are gearing up for our 150th birthday – our sesquicentennial since Confederation! It's time to participate, celebrate, and explore our linguistic, cultural, and regional diversity, as well as the richness of our history and heritage. 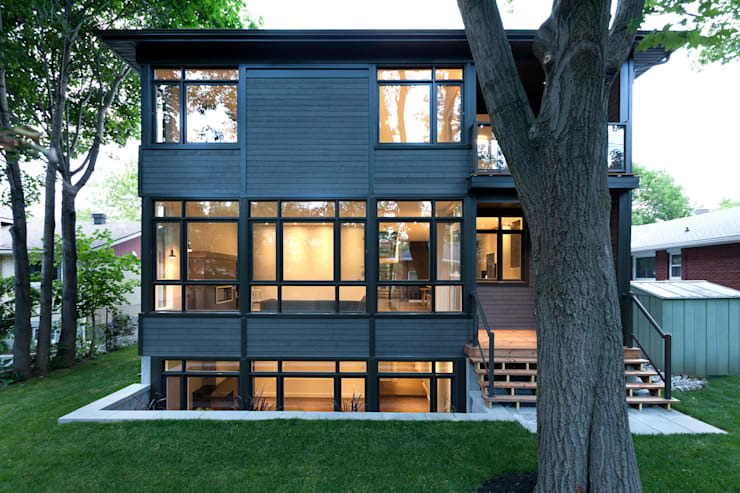 Well, here on homify we have a ton of Canadian talent to add to the celebration. 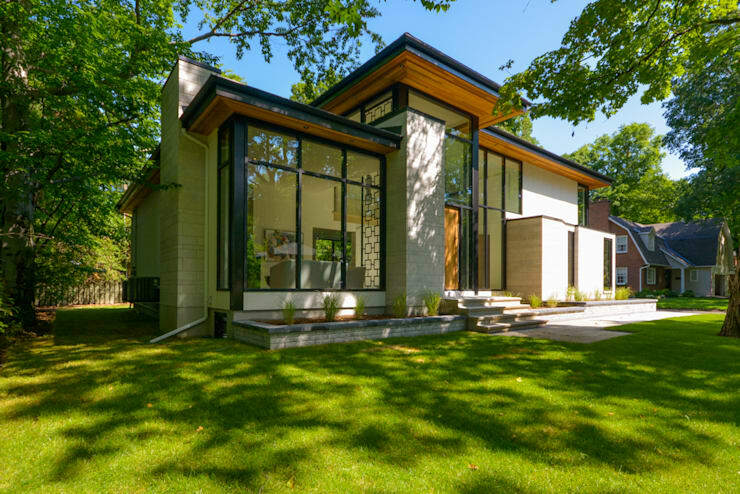 These 11 spectacular Canadian homes will show you the huge diversity of architectural styles and showcase the work of talented architects in Canada. Want to join the celebrations? You'll find events and projects in your city by visiting Celebrate Canada. 1. This sweet cottage home has a solid and simple design that shows Canadians know how to make spaces shine, without needing to be ostentatious. If charming is your style, then this family home's face-lift will be huge inspiration. 2. The Arbutus House was made with all of the quality materials that make Canadian architecture so gorgeous and efficient. The siding is a red cedar with galvalume strips tucked between them and the frame of the home is Douglas fir timber. 3. The smooth white stone on this home creates a polished look, while the intriguing roof adds in character. The smooth white stone on this home creates a polished look, while the intriguing roof adds in character. There's no need to be boring when creating sleek design, Canadians prove it! 4. Our nation's capital has this gem as a perfect example of a private home that still manages to be warm, look at that light brown wood! 5. This square home is made brilliant with the unusual windows and their dressings, or lack of dressings, on smooth concrete! 6. 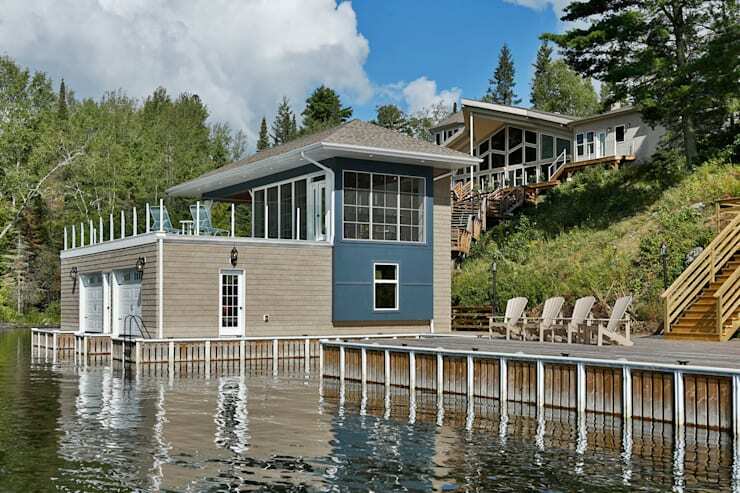 If you have the water front to put a boat house on, you should. This charming blue siding is a great nautical choice. 7. Eco-friendly design is huge priority for Canadians, and this Winnipeg home proves it can be stylish too. Are you loving the landscaping? A professional can help you get the same look. 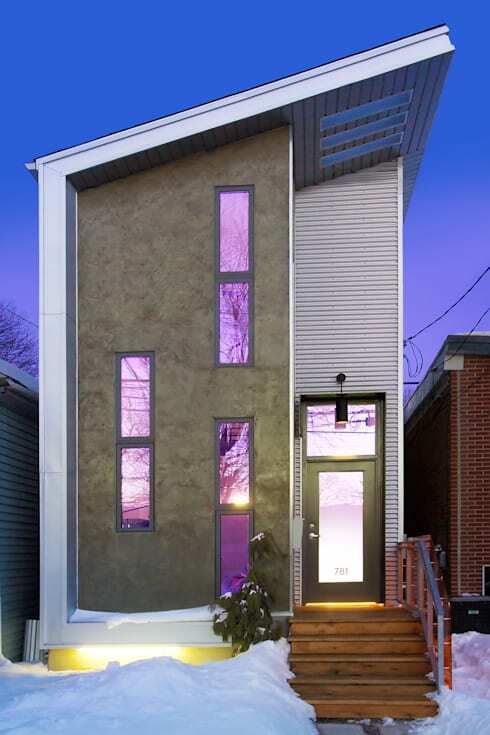 8. Who says modern has to be square? This curvy home plays with shape in a totally unique way. 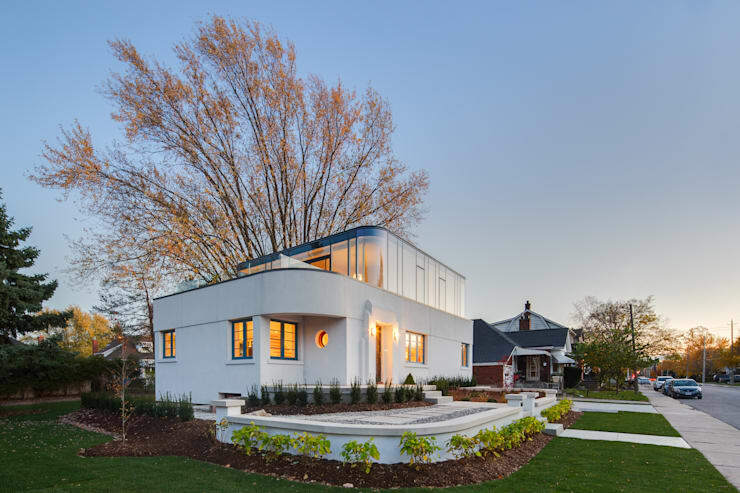 Originally built in 1939, the Hambly House is one of only a handful of Art Moderne houses to be found in Ontario. 9. 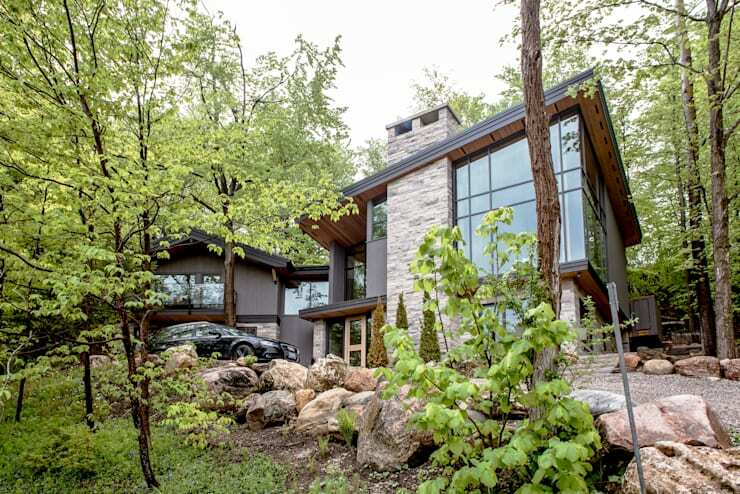 Homes that blend in with their forest surroundings are hugely popular in Canada, and this tall beauty shows us why. 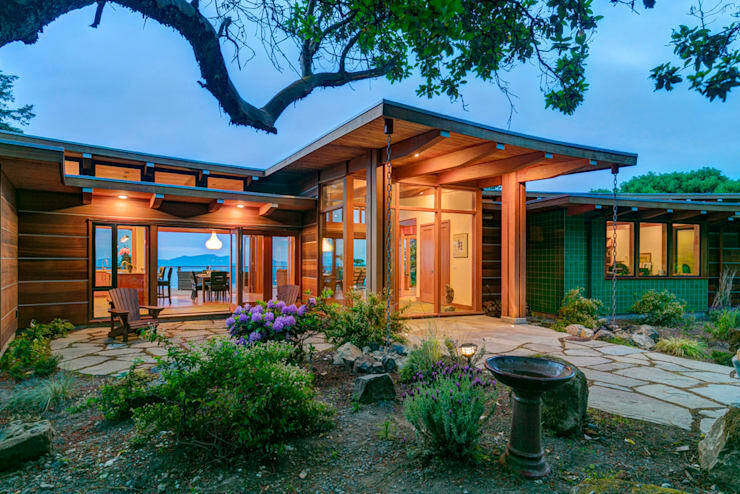 There's so many more forest themed homes for you to explore, here. 10. Believe it or not, this beauty was a renovation, combining huge modern windows with a classy stone foundation. 11. 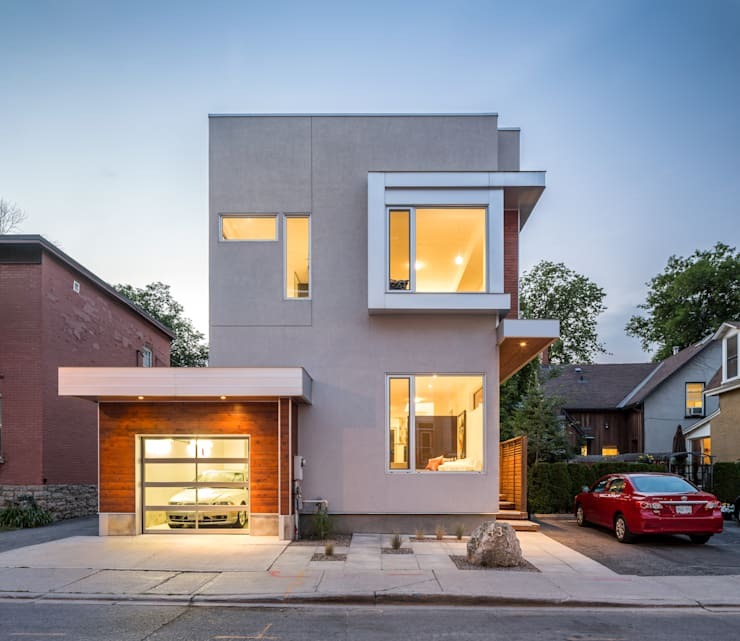 We can't finish our list without a quick stop at this chic and compact Toronto home. The purple tint is wild! Can't get enough of this Canadian talent? 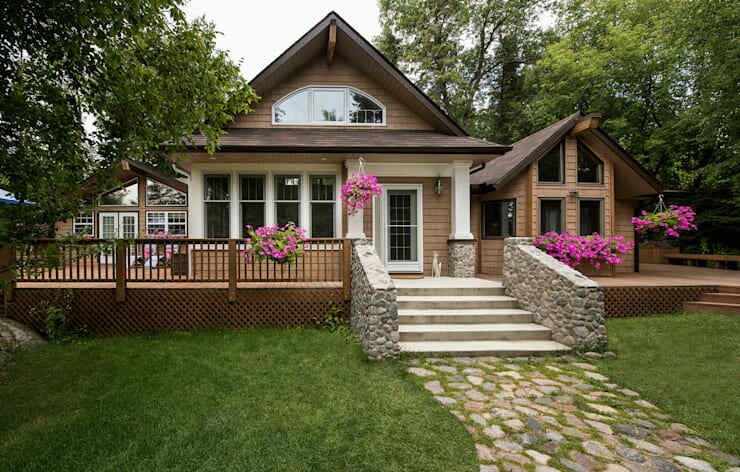 Check out some more home exteriors here.